Our interview with actress Shelly Shenoy is now up on our YouTube channel! Join host Ruari in this special guest interview with actress Shelly Shenoy, best known for playing Kate García in The Walking Dead Telltale Game, SkyBlock Female A and Rebel Female B in Minecraft: Story Mode – A Telltale Games Series, Eileen Summers in Kathy Rain, Amy Wellard in Shardlight, Chantelle in Technobabylon and Tara in 8:46. She also worked on Game of Thrones: A Telltale Games Series, Batman: The Telltale Series and The Walking Dead: Michonne. 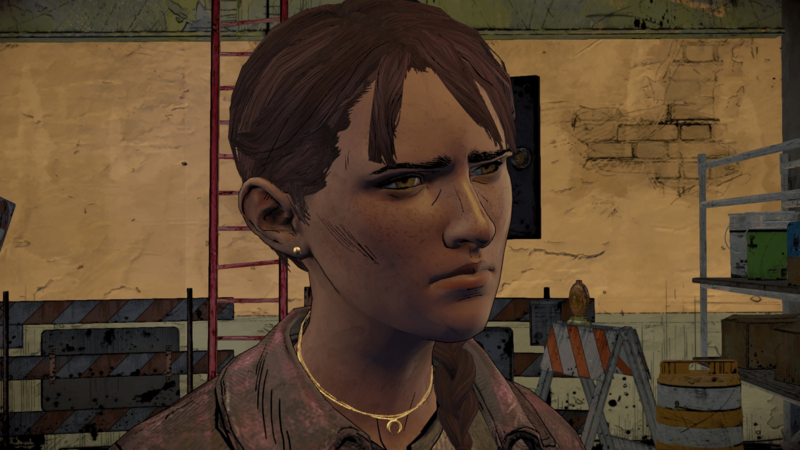 In the interview they talk about how Shelly got into acting, how Shelly was originally cast as Kate García in The Walking Dead Telltale Game, whether Shelly was a fan of the game or The Walking Dead franchise prior to her casting, what Shelly was told about the character of Kate initially, what it was about the character of Kate that drew Shelly to her, what Shelly did to get into character as Kate, Shelly’s reaction when she read the script for the Season 3 finale episode “From The Gallows” and the multiple endings, Shelly’s experience developing the character of Kate over the course of the third season, Shelly’s favourite memories from her time working on The Walking Dead and Shelly’s upcoming acting roles and other projects.